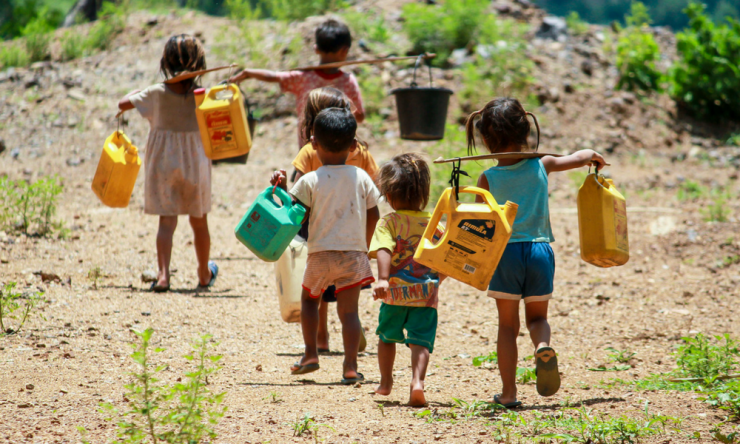 Do the global poor care about climate change? I was struck by that question at the National Peace Symposium that I attended and wrote about last month. 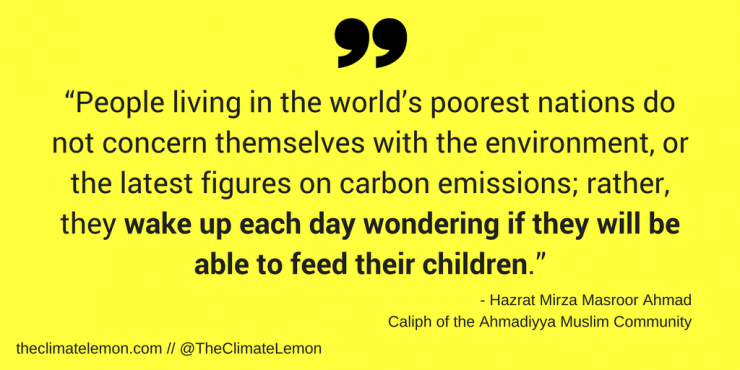 The Caliph of the Ahmadyya Muslim Community spoke about how we need world leaders to prioritize helping the poor out of poverty in the same urgent manner as acting on climate change. He said that the world’s poorest do not worry about the latest greenhouse gas figures because they’re too busy worrying about whether they can feed their children today. This comment hit me hard because it simultaneously rang true yet also seemed to contradict what I know about climate change hurting the poor most. On the one hand, it makes perfect sense that people won’t care about longer term problems or global problems when they are focused on basic survival today. But people prioritize, and all problems are relative. Even if the global poor know climate change is affecting their community in a serious way, they probably won’t have it top of mind if they are struggling to feed their children and their only water source is contaminated and miles away, or their family are sick and they can’t afford healthcare. These urgent problems are naturally going to take precedence. And I think it’s important for Western environmentalists like myself to understand that. So, do the global poor care about climate change? I was very curious, so I decided to dig into some research. I found four surveys comparing attitudes to climate change across countries. Shall we dive in? I’m going to summarize each of the four studies I looked at before going on to my own analysis and conclusion. I encourage you to read these studies yourself if you’re interested, as they are all packed with fascinating detail that I don’t have time to go into here. Analysis: What is the data telling us? So, as you can see these four surveys show mixed results. The UN survey is very clearly aligned with the Caliph’s comment that people in the poorer countries are not concerned about climate change as they have more urgent problems to worry about. The YouGov survey shows a much more mixed picture. But it is also the least relevant for our question because it only asks people from 17 countries, only four of which are developing countries (that’s if you count China) and none of the world’s poorest countries are included. So while fascinating in other ways, let’s set that one aside for now. The Pew survey appears to show the opposite of the UN one: people in the poorest countries are actually the most concerned about climate change. Meanwhile, people in the countries that have the highest emissions (i.e. richer ones) are not as concerned. The Gallup survey has two big points relevant for our question. 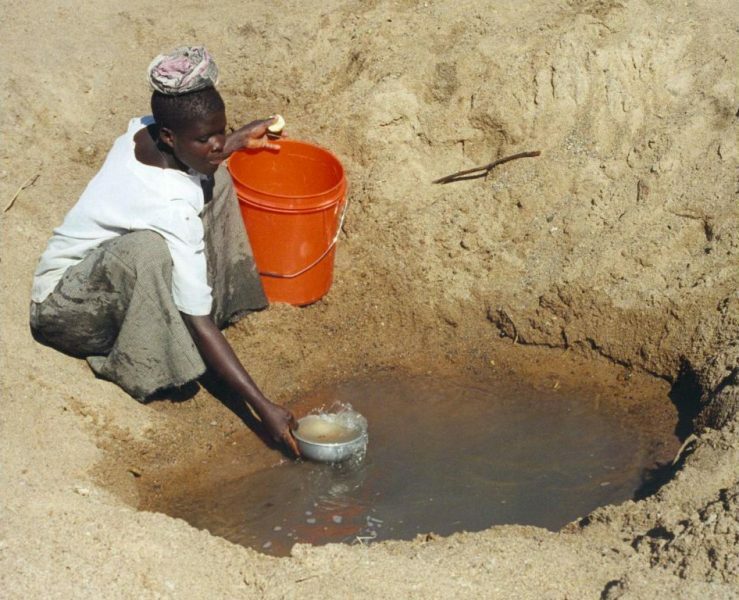 On the one hand a high proportion of people in the poorest countries do not even know what climate change is. Clearly you can’t worry about something you don’t know exists. (Although I bet they do worry about the impacts of climate change likes floods, droughts, storms etc). But when they are aware of climate change, they tend to be very concerned about it. The studies with the most clear-cut results are the UN one and the Pew one – which suggest opposite conclusions. Why is this? It’s possible that the Pew one, timed very close to the climate summit where the Paris Agreement was signed, could have picked up on rising awareness and excitement around that. But to be honest I doubt that the citizens of the South American and sub-Saharan African nations were so engaged in that process as to shift the results so dramatically. What I think is much more relevant is the nature of the studies and how people think about risk. The UN one, that said the global poor are least concerned about climate change, asked people to rank a list of global issues from most to least important. While the Pew one, that said the global poor are most concerned about climate change, asked people about their views on climate change in isolation. The Gallup survey, which said when the global poor know about climate change they are very concerned about it, was similar to the Pew study – i.e. it asked about climate in isolation. So, my conclusion from this is that the global poor are very concerned about climate change, more so than we are, but they don’t prioritize it because they are even more concerned about other problems they face. Such as feeding their children, like the Caliph says. This makes sense intuitively and is backed by the data. So, what does this mean for global climate action, poverty alleviation and development? Yet it is vital that they do address it. Vital for them, as they face the most serious risks, and vital for all of us as we simply can’t afford for poor countries to start polluting as much as we have. That may well be unfair but it’s tough – nature doesn’t care what is fair between humans. But we do, or should, care about fairness and justice, so it is the responsibility of the richer nations to help the poorer ones develop in a sustainable way, leapfrogging over the polluting stage of development to a clean economy. I also think it is totally unreasonable for us to expect the poorest countries to reduce their consumption of energy and resources. Yes, efficiency gains should always be made where possible, but the reality is they are consuming way too little to meet their basic needs while we are consuming way too much. Luckily, there are many forms of climate action that the poorest countries can take that both improve their people’s lives today while also helping to fight climate change. These include conserving forests and wetlands, sustainable forestry, agroforestry, composting, offgrid renewables and others. Along with climate adaptation (such as flood defences, drought-resistant crops etc) these forms of mitigation are what they should be focusing on, because they can be done while improving livelihoods. I’m excited to delve into each of these topics on this blog at some point. For now, please share this post and subscribe to catch the next ones. And be thoughtful about global inequality and poverty when discussing climate change solutions. To be effective, the climate movement needs to be inclusive and intersectional.